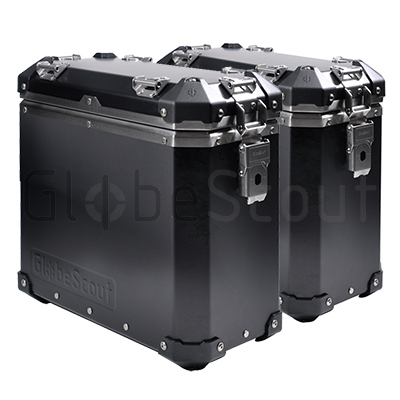 27 different sets in 3 different finishes. 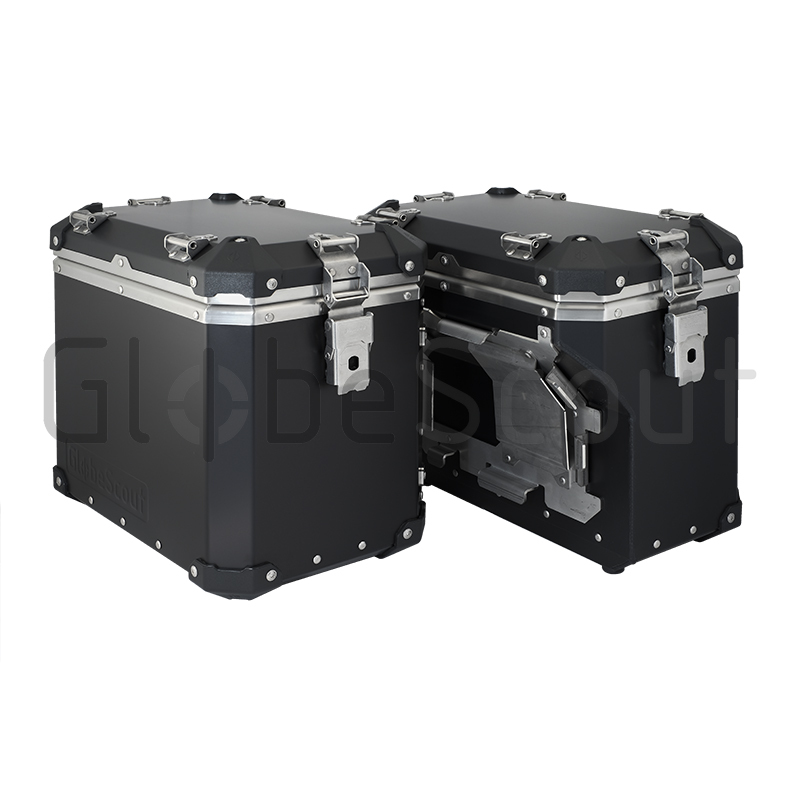 Symetrical, Asymetrical and Cutout Set in natural, natural anodized or black anodized. 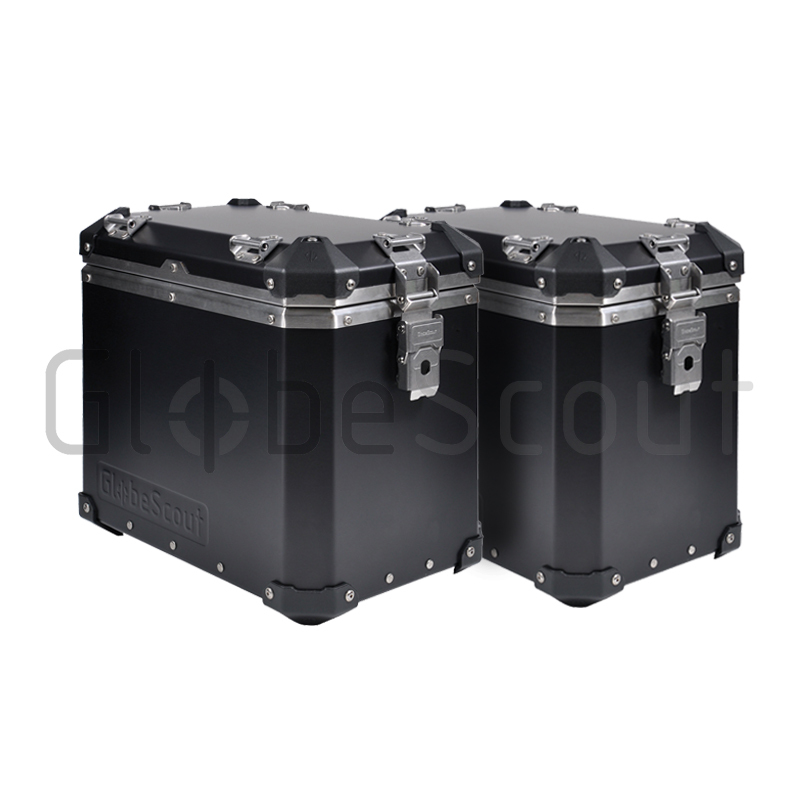 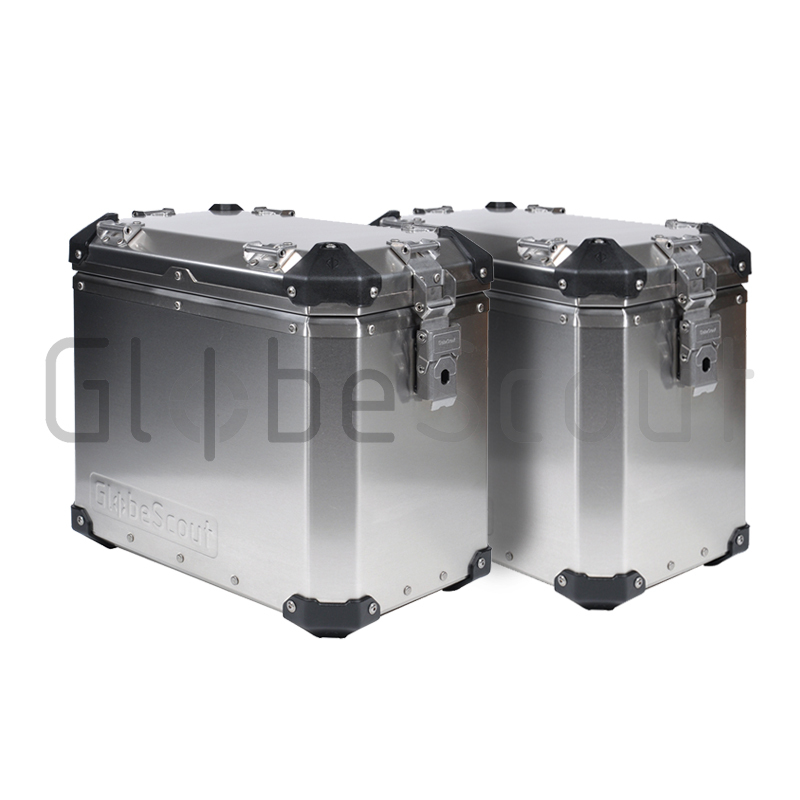 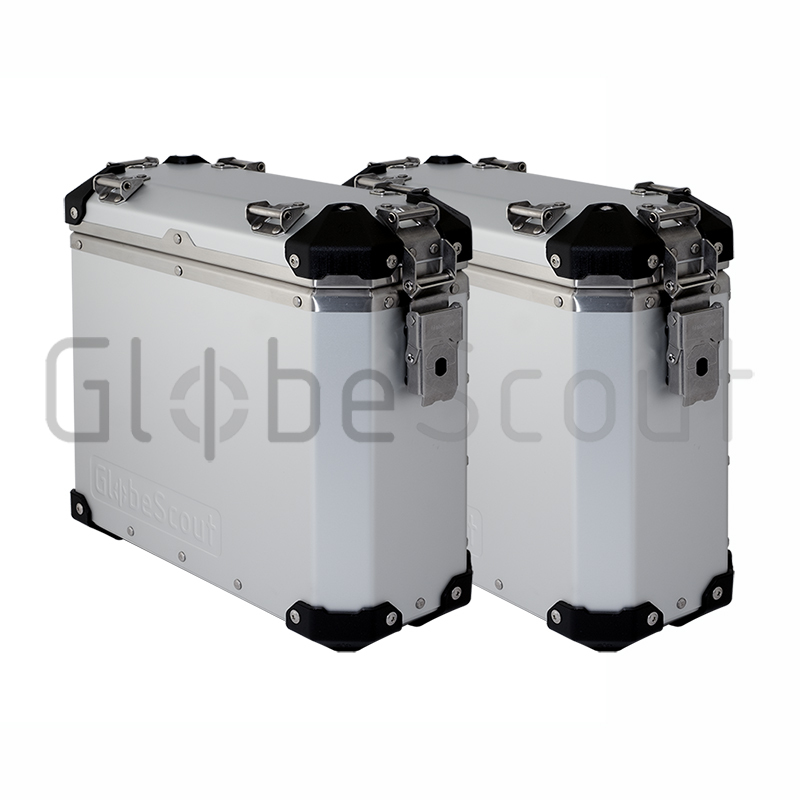 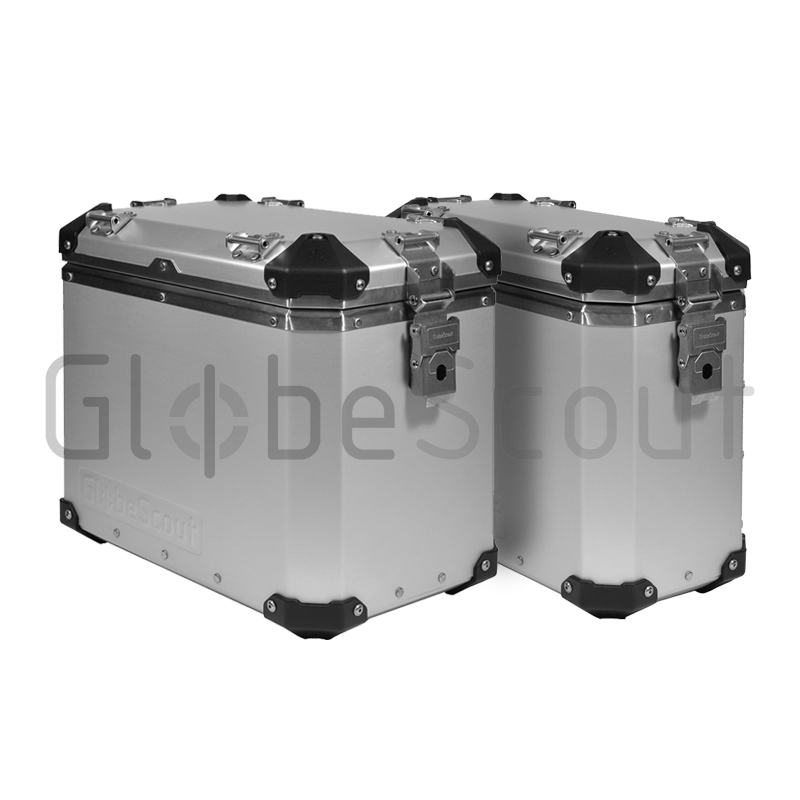 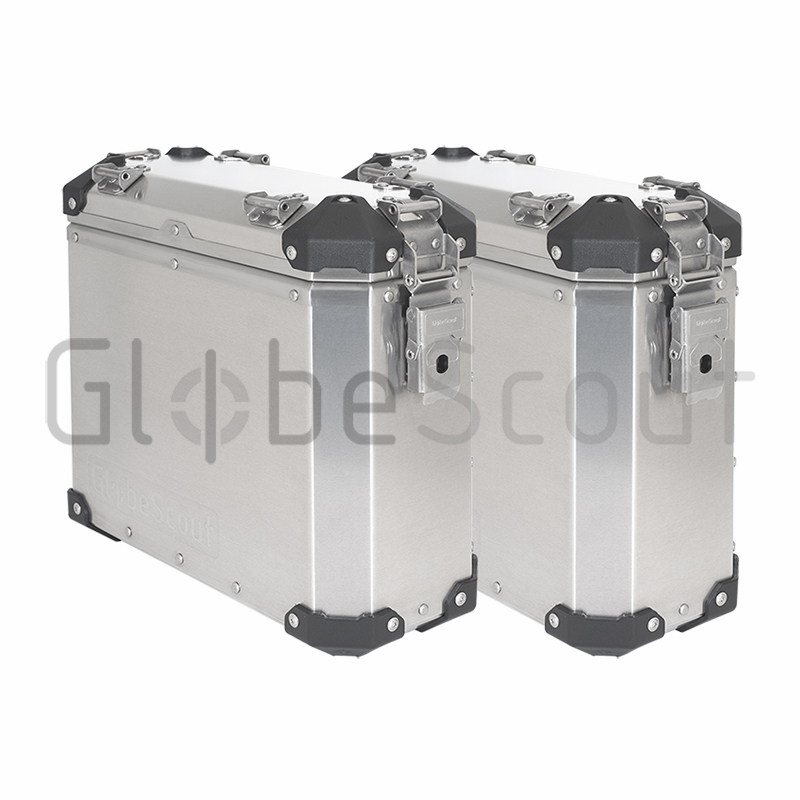 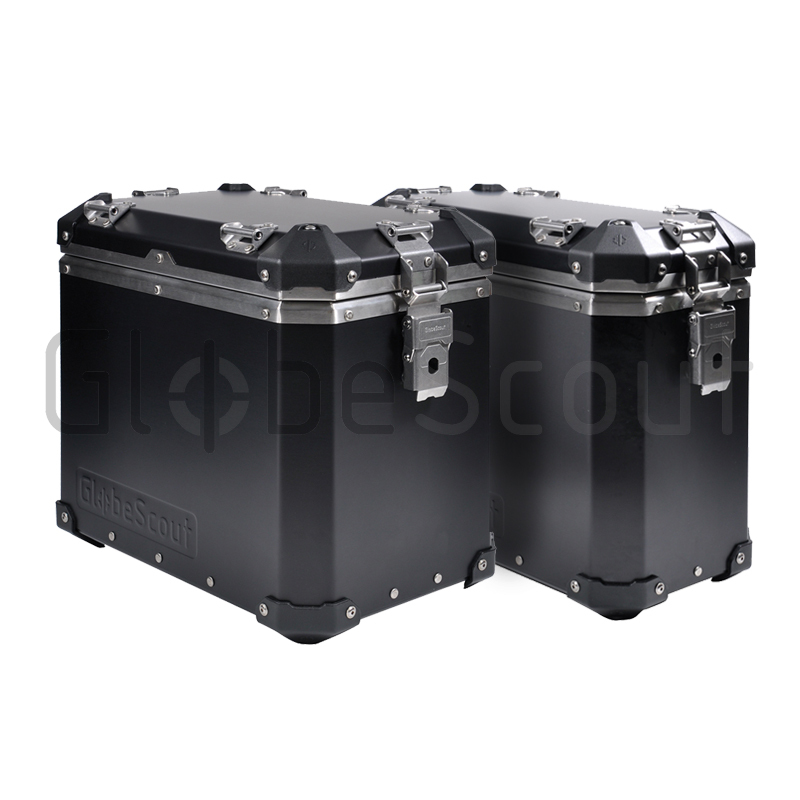 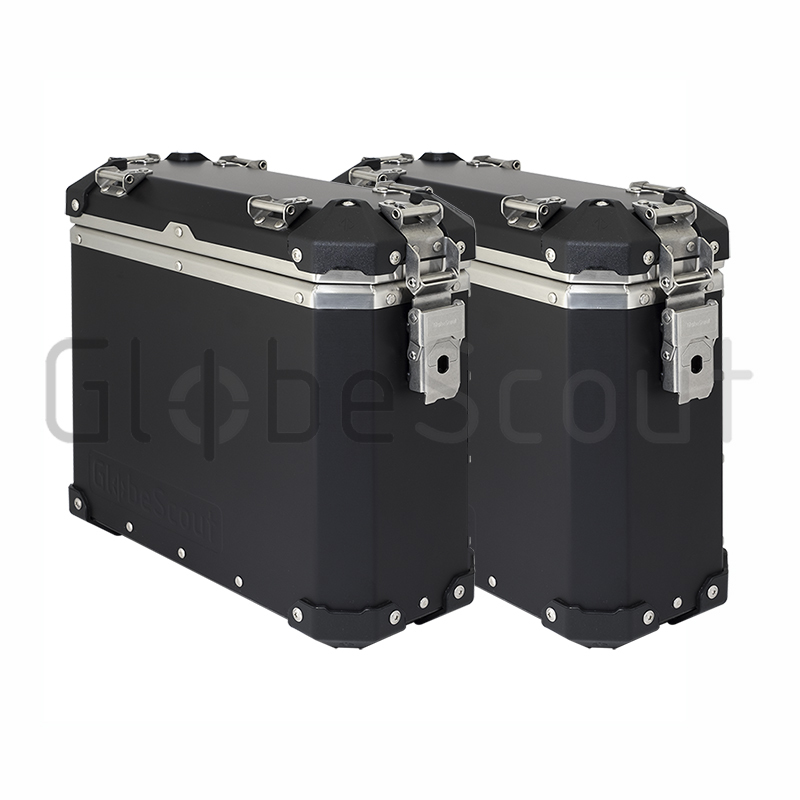 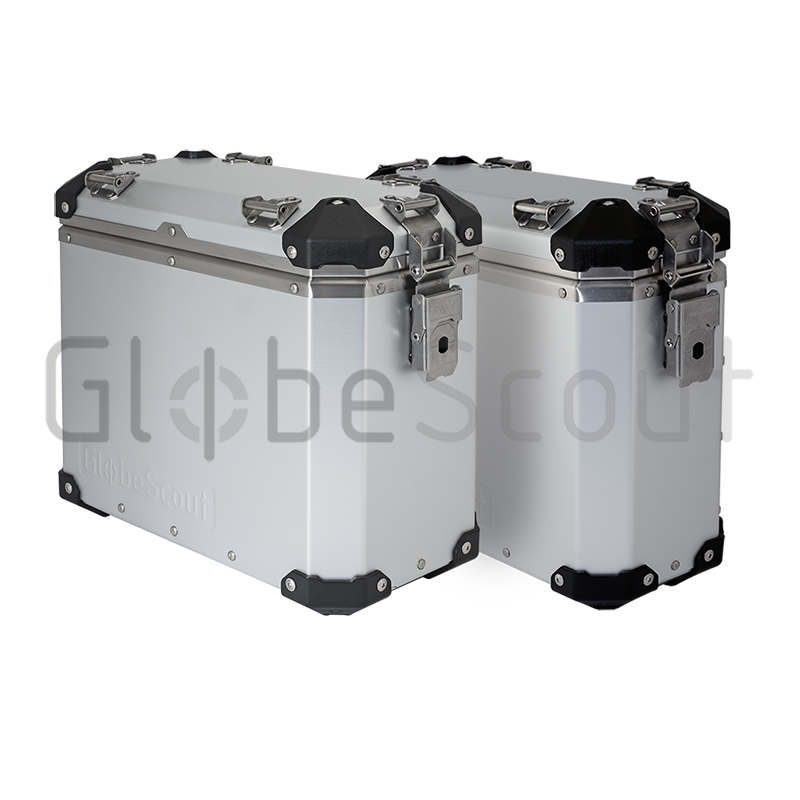 GlobeScout side case sets are designed and combined for the optimum use on long trips. 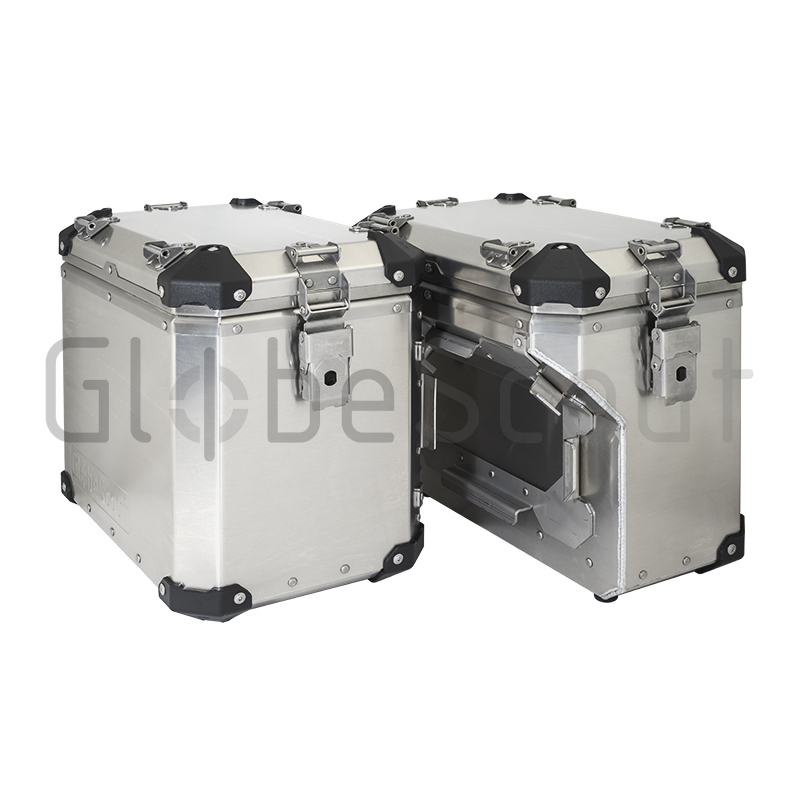 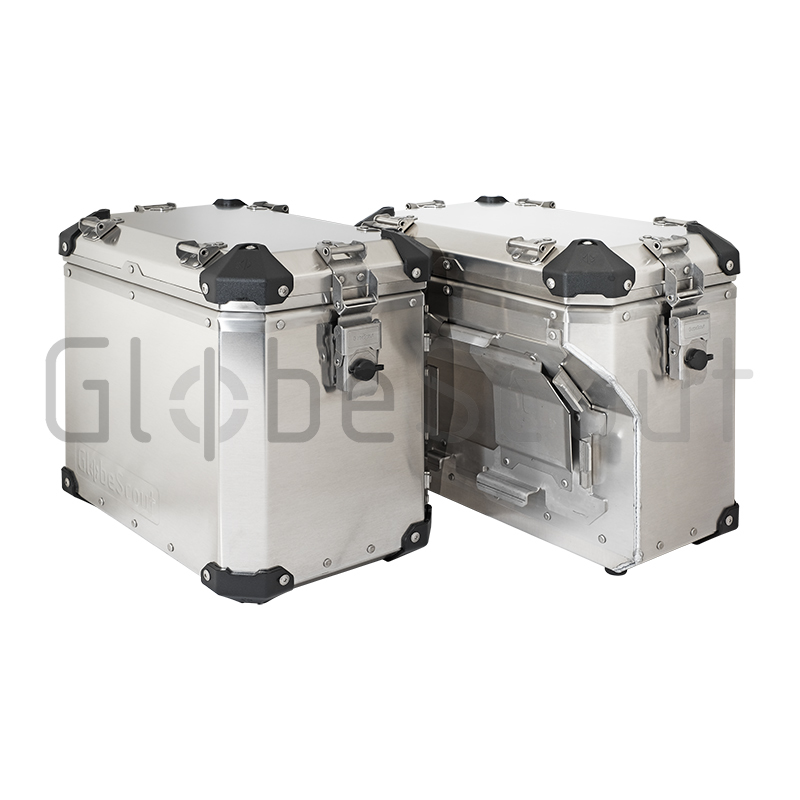 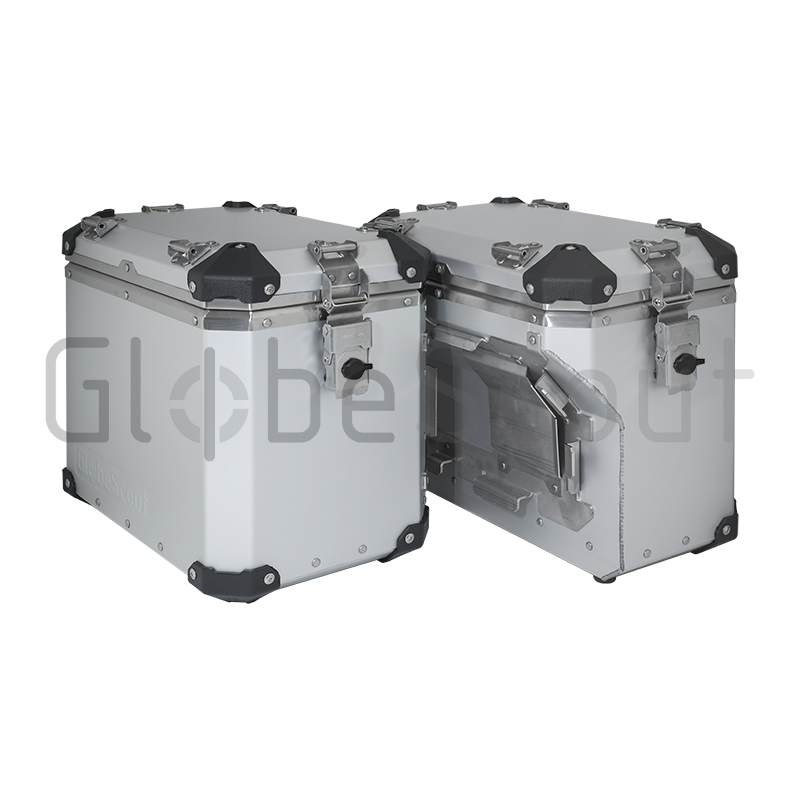 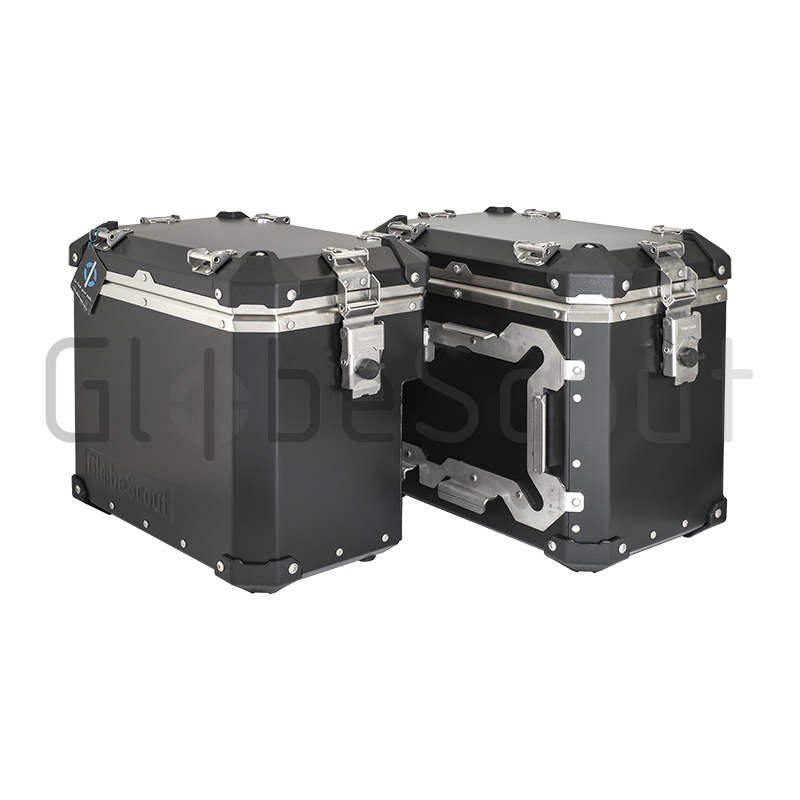 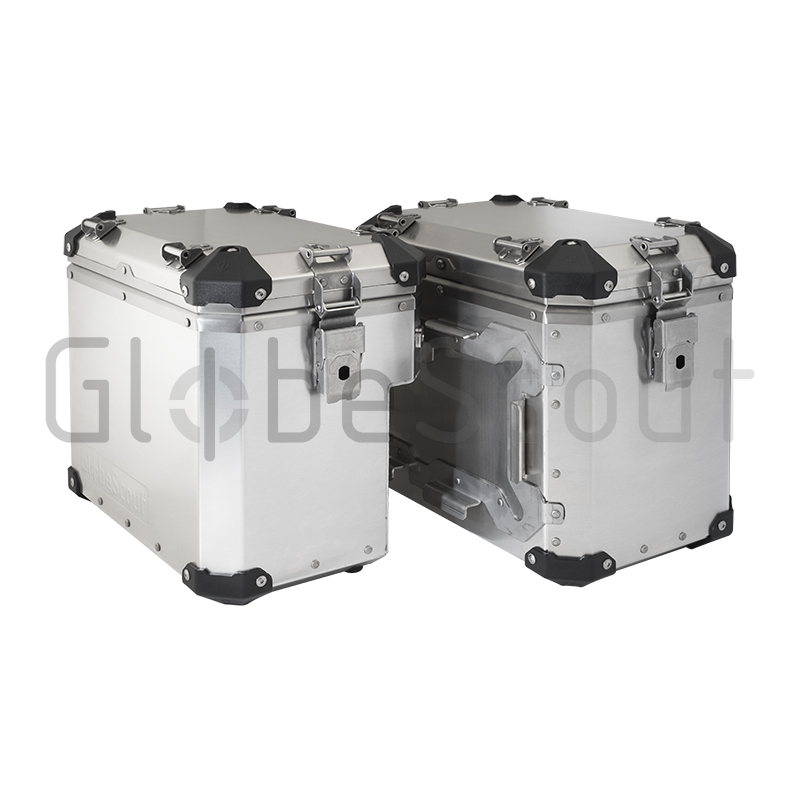 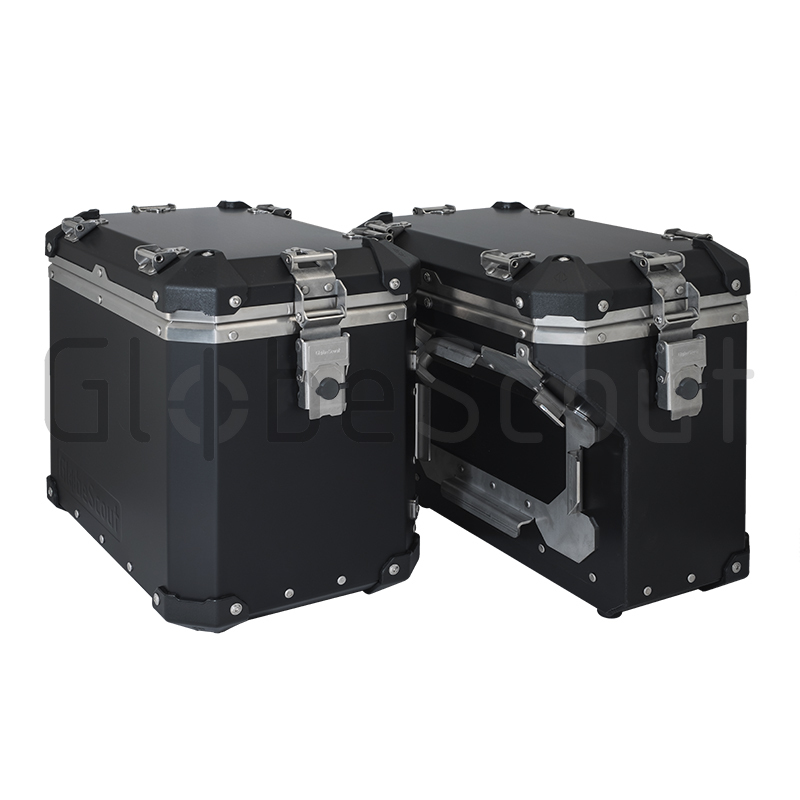 Side Case Sets including two side cases, 4 lock cylinders and mounting adapters. 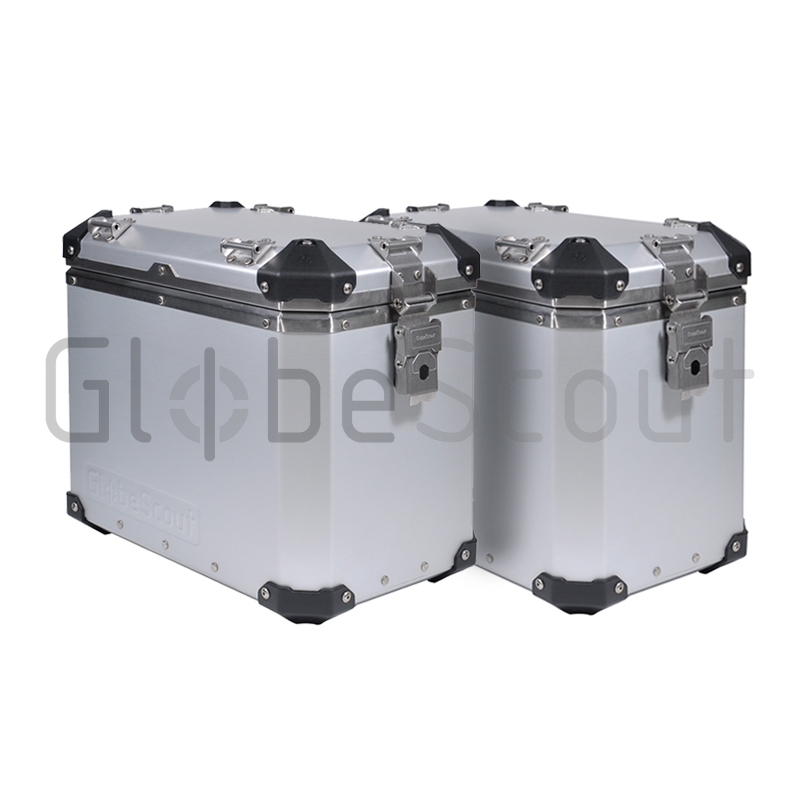 Some of the side case sets include also the carrier system. 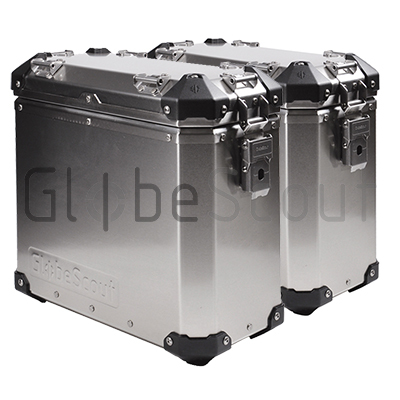 We are designing and producing special cutout system for the most common adventure bikes. 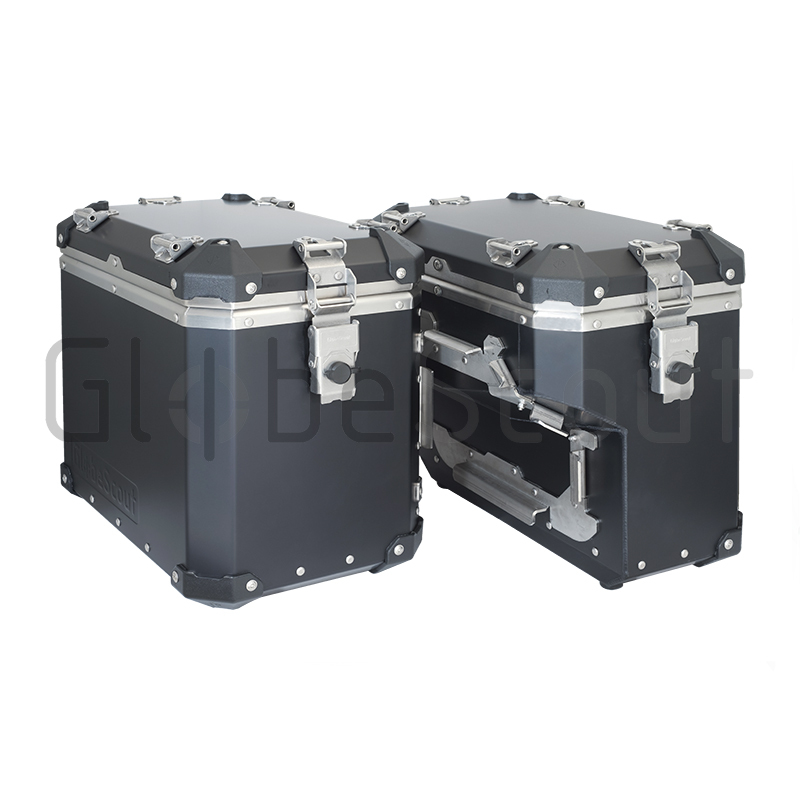 Please check below for available sets. 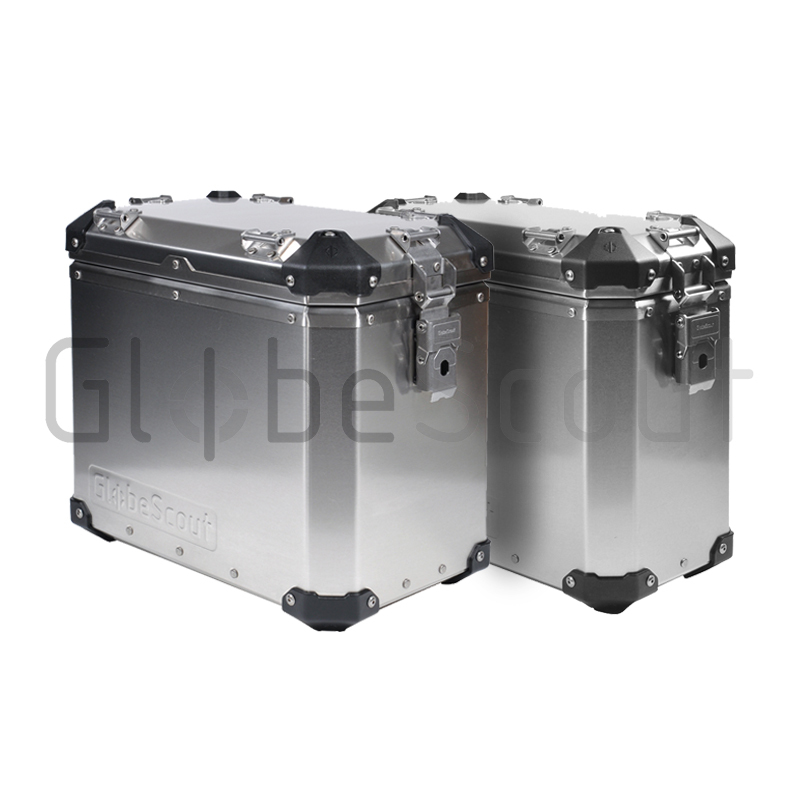 With the unique stainless steel frames on both of body and the lid we have reached the most strong body construction against damages. 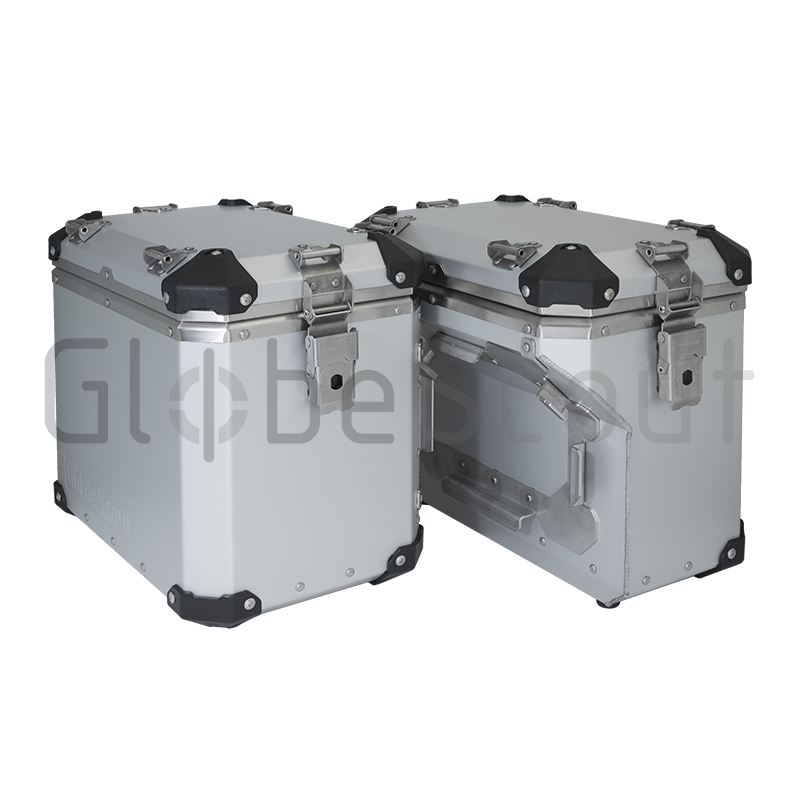 DESIGNED COMPLETELY INHOUSE AND BUILD OF HIGH GRADE STAINLESS STEEL MATERIAL TO LAST. 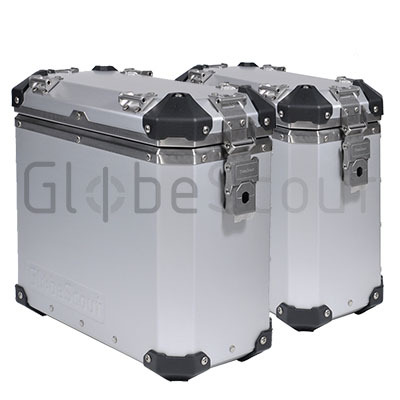 TESTED IN HARDEST ENVIROMENTS.